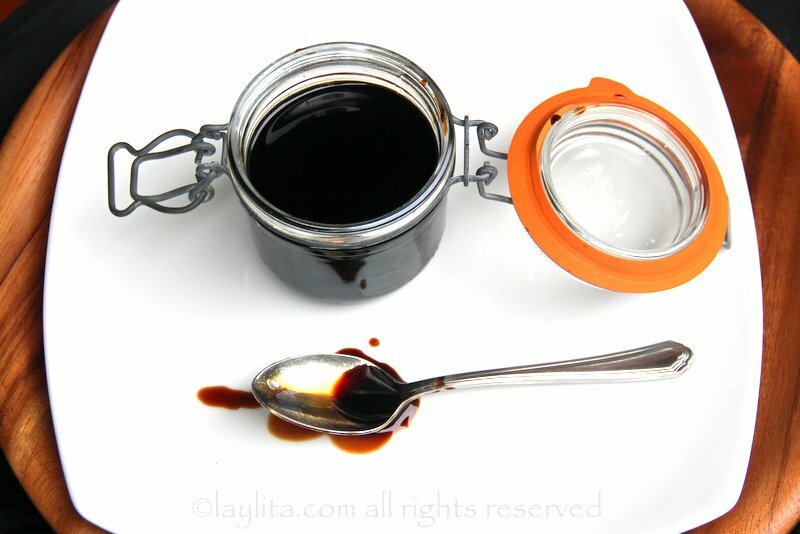 A balsamic vinegar reduction is a concentrated and thickened version of balsamic vinegar that is made by cooking down the vinegar until it has reduced. The balsamic flavor will become more intense and the consistency will thicken. A balsamic reduction is great for salads where you want to add a burst of flavor. 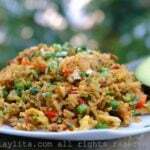 It goes great with vegetables and also with meats. If you like using olive oil and vinegar for dipping with bread, using a balsamic reduction will make it even more delicious. Also, if you can’t always find good quality balsamic vinegar or the good stuff is too pricey, then you can improve the taste of not so great balsamic vinegar by reducing it. Though keep in mind, you will likely be cutting the actual amount of vinegar by half or more, so if the good stuff is only a few $$ more, then it might not be worth it. 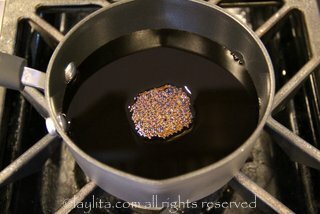 However, you will need less of the concentrated balsamic reduction than of the regular balsamic. 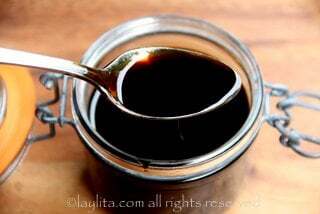 Recipe for homemade balsamic vinegar reduction, a concentrated and thickened version of balsamic vinegar that is perfect for drizzling on salads and vegetables, or to use as a glaze for meats. 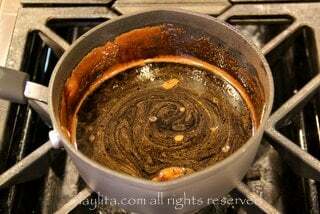 Place the balsamic vinegar in a small saucepan and cook over medium low heat until the vinegar has reduced to at least half of the original amount (about 30 minutes for 2 cups of vinegar to reduce to 1 cup). 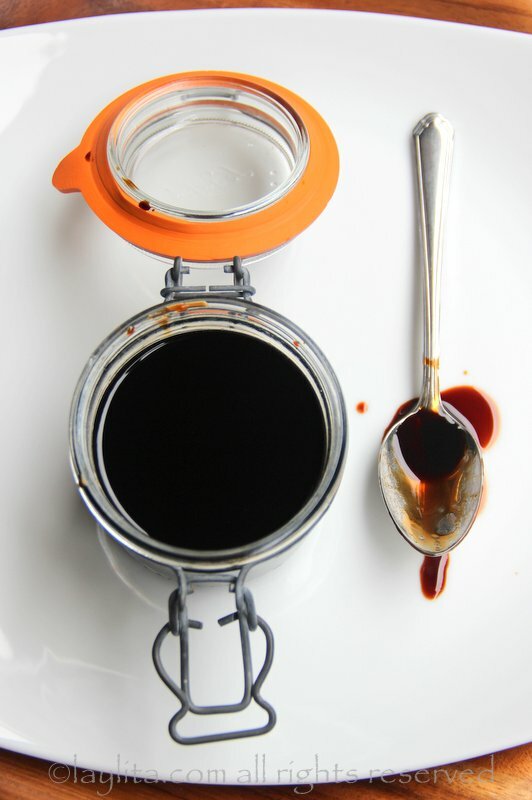 For a concentrated but still liquid balsamic sauce you can cook it until it reduces by half. For a thicker glaze type sauce cook it until it’s reduced to ½ cup (1/4 of the original volume). 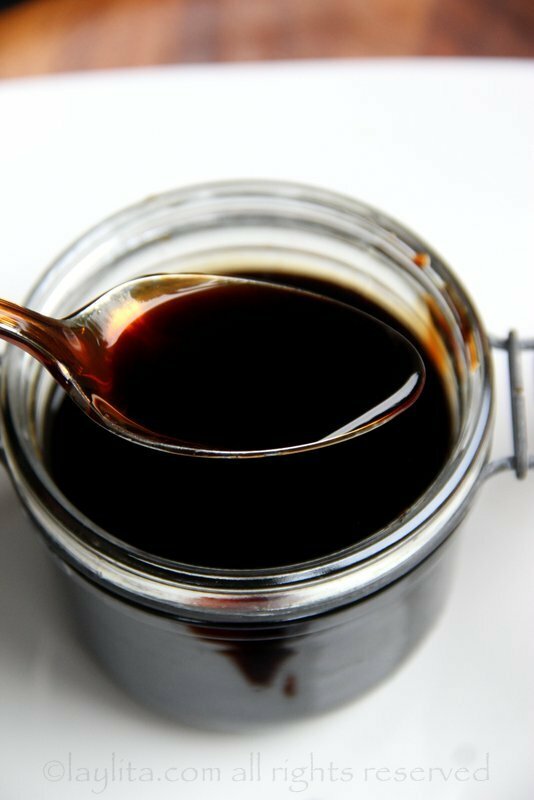 As soon as the balsamic reduction reaches the consistency and concentration level that you prefer, remove it from the heat, and let it cool down. If you added crushed garlic or herbs you can remove them with a slotted spoon or strain the reduction. Place in container or bottle and use as needed. 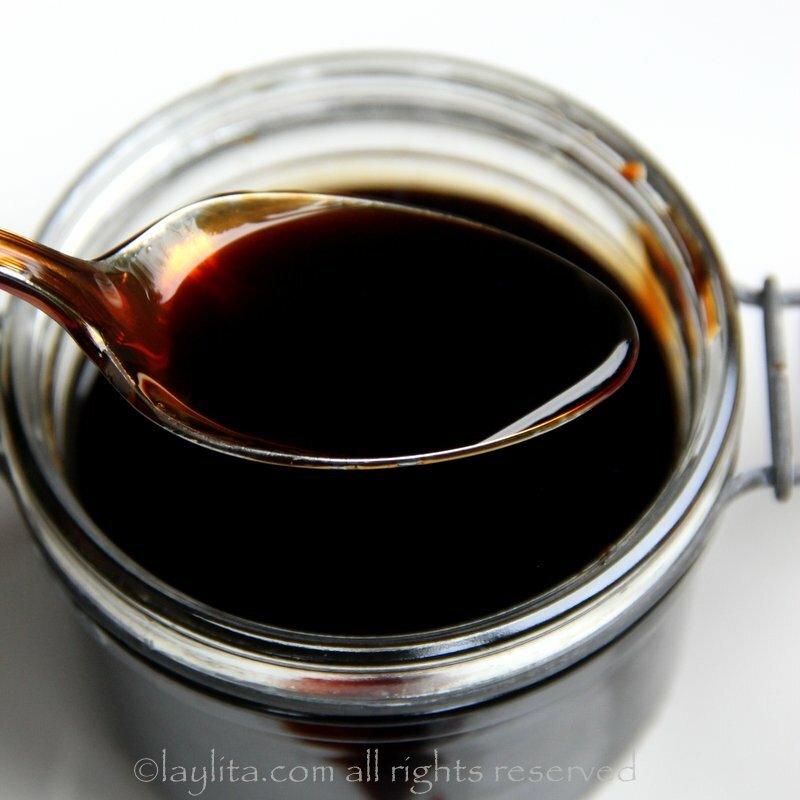 Making your own homemade balsamic vinegar reduction also allows you to infuse additional flavors into the vinegar, I usually add a lightly crushed whole garlic clove to the sauce as it reduces and then remove it when the sauce is done – it gives the sauce an additional hint of garlic flavor. You can also add sprigs of herbs to infuse their flavor into the vinegar. 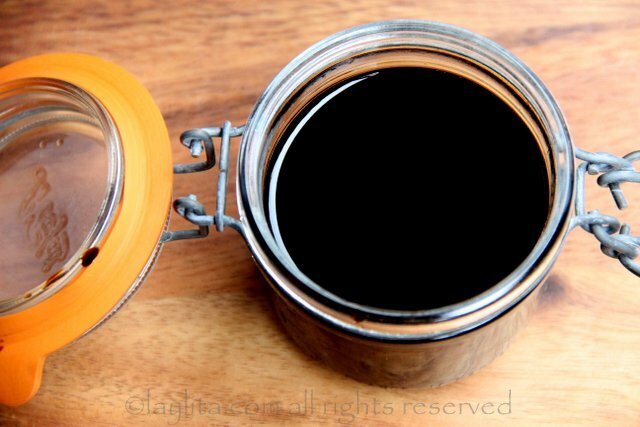 The longer you cook the balsamic vinegar, the thicker and more concentrated it will become. You should at least cook it until it reduces by half, it will still be liquid, but will start to coat the pan and a spoon. 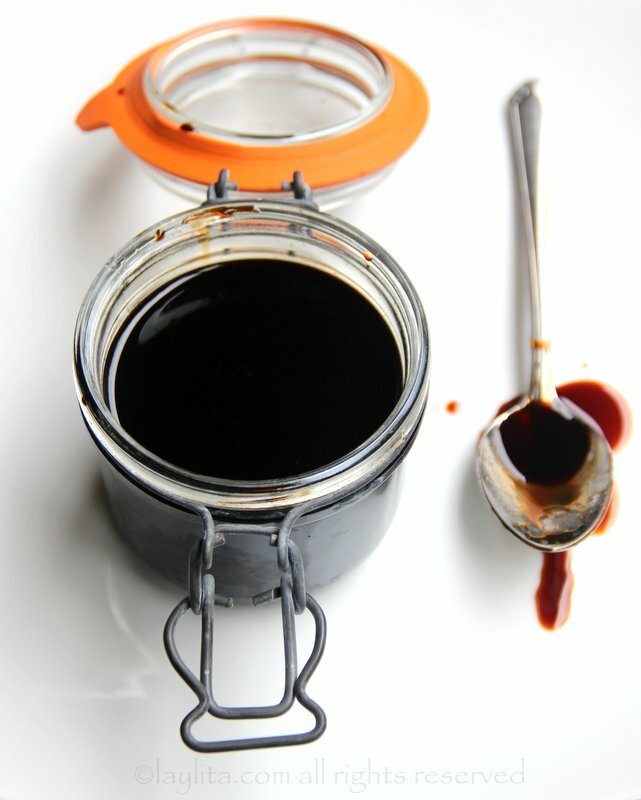 For a thicker sauce, that has a glaze or liquid honey consistency, you will need to cook it until it reduces to a quarter of the original amount of balsamic vinegar. 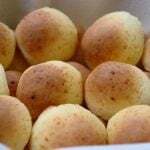 As you are making you can taste it, and test the flavor and consistency that you prefer. Excellent instructions for a delicious reduction.